Denton Sanatorium: "And It Comes With a Breathtaking View"
"And It Comes With a Breathtaking View"
My writing skills are rusty, but I knew I needed to record my adventure from this morning, whether or not I articulate my thoughts as well as I once may have done. This post didn't come out the way I'd hoped or the way I truly felt, but at least it's written, and that's more than I've done in a long time. 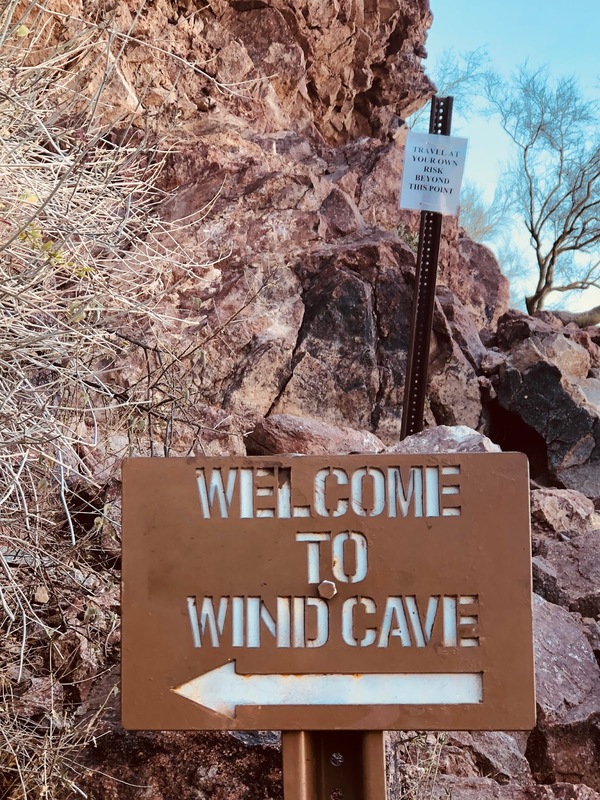 I hiked the Wind Caves trail this morning. Crazy how personal revelation often comes when we least expect it. I've taken to this trail many times over the last two decades when life is good or when it got hard (most notably two years ago--you can read that post here). My heart has been heavy the last few weeks and my spirits low. I didn't leave for the trail this morning looking for deep answers or insights. I left for the trail this morning because the weather today was perfect for a quick hike, and perfect hiking weather in AZ is almost over. I knew I needed to take advantage of that perfect hiking weather before it's gone till fall. You may not know this about me, but I like to take life on my own terms. I am decisive almost to a fault, and I often try to mold life around my ideas of how it should go. I blaze my own way through life, finding new paths and adventures all along the way. Yeah. Not a big secret I'm revealing. While this life philosophy generally serves me well, recently that hasn't been the case. 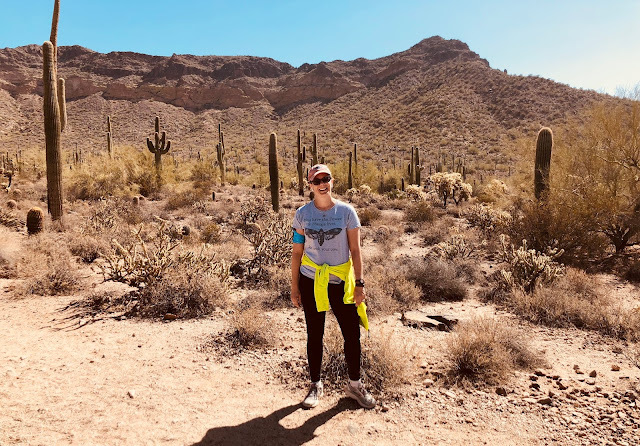 Problems weigh heavily on my mind these days, and on the trail this morning they found their way back to my consciousness even after being forced back by the words coming through my earphones and my desire not to think about life for a while. Why? Why? What could I have done differently? Should I have done something differently? Where will all this take me? When will I know? Often as I hike this path, I wonder why it swings so far to the west before switching back east towards the final destination. At one particularly wide switchback today, I thought the familiar, "Why didn't they cut the trail through here? It would save so much time . . ."
And that's when I noticed the signs, probably a dozen of them spaced out along the path. I never noticed how often the same reminder is posted along this route. The trail is rough in spots, but still manageable even for small children. 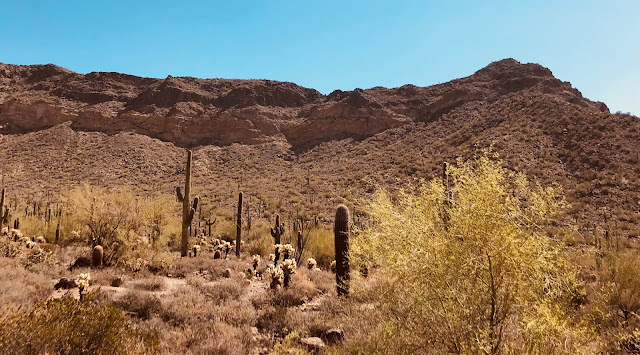 The trail is hemmed in by thorny desert plants--ocotillo beginning to bloom red on the tips, prickly pear with some of their yellow flowers beginning to open, and of course the saguaro, sentinels of the Sonoran Desert and central Arizona. But if you're careful, you can easily avoid the thorns and take a shortcut. Why so many reminders to stay on the path? Staying on the trail is the best way to get where you're headed--maybe not the fastest, but the best. It might be really rough in spots or clogged with thorns and inconspicuous but deadly rattlesnakes in other places, but the trail is the best way to get to the top. I saw myself in those signs today. I often think I know the best way to navigate life. I ignore signs and suggestions along the way that I think will shorten--not necessarily simplify--the route. I forget that the best way is the Lord's way. Not mine. I forget that the rough spots teach lessons, and that the thorns and snakes develop character and wisdom unavailable on other paths. And sometimes when I try blazing my own trail, I unnecessarily make life harder and more complicated. 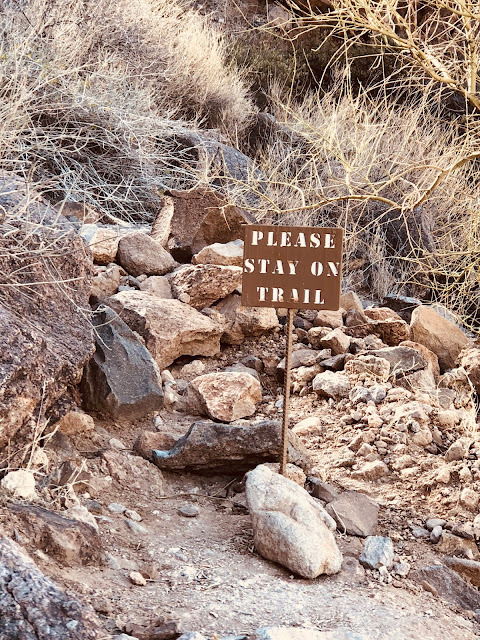 I have all the tools I need to get to the end, but if I choose not to stay on the path or try to overshoot the mark, then I'm "traveling at my own risk." It's best to stay on the path, even if I can't see around the next corner or if I don't understand why it's going this direction for a while. I'll get there. And for an hour of my morning, I once again saw joy in my journey, purpose in my path, and happiness in my life. I knew these positive moments weren't permanently missing, but I'm glad to meet up with them again. My step was lighter on the way back down the mountain. And that spring in my step has lingered even after returning home. The problems are still there, but they have slid down the priority list.